LeBron James wants a court to be as dismissive as he is over a lawsuit filed by a man who claims to be his father. 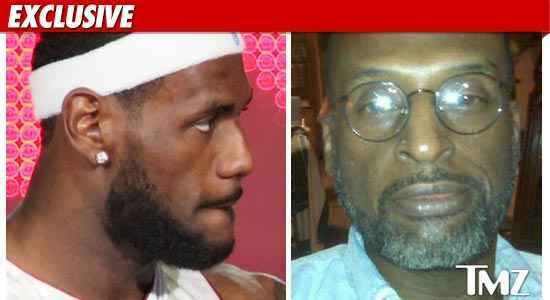 TMZ broke the story ... Leicester Bryce Stovell filed a $4 million lawsuit against LeBron and Gloria James, the NBA star's mom, claiming fraud and defamation. Now attorneys for LeBron and Gloria have asked a judge to dismiss the suit, labeling it "rank speculation." According to the new legal docs obtained by TMZ, LeBron's lawyers scoffed at "... a man who claims that as a twenty-nine year old lawyer he got a 15-year old girl pregnant during a one-night stand and who never contributed a penny in child support would earn millions in commercial endorsements by crawling out of the wood-work after the child he never gave a thought to became an NBA star."